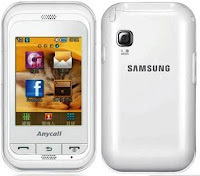 Samsung GT S5830 Galaxy Ace specifications - you want to buy hp samsung ace you should look here for pricing and specs samsung GT Samsung S5830 is a mainstay to break down the cell phone market in the world. It's now become the focus of this samsung a lot of people to be able to get a smart phone. 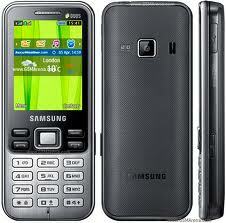 Samsung GT-S5830 Galaxy Ace has a 3.5 inch HVGA (320 x 480px) and 800MHz Qualcomm MSM7227 processor-1 Turbo. 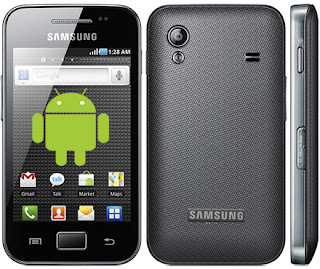 HP will come with Google Android OS 2.2 Froyo with TouchWiz UI 3.0 on it. This smartphone also includes a 5 megapixel camera, and support Wi-Fi connectivity (802.11 b / g / n), Bluetooth 2.1 + EDR, and FM Stereo Radio. Samsung Galaxy Ace in India on sale for $ 14.900 rupees, or about 2.95 million dollars. In Indonesia, is still unknown, but from the info in the forum kaskus samsung ace reportedly has been circulated with the price of 2.999 million.